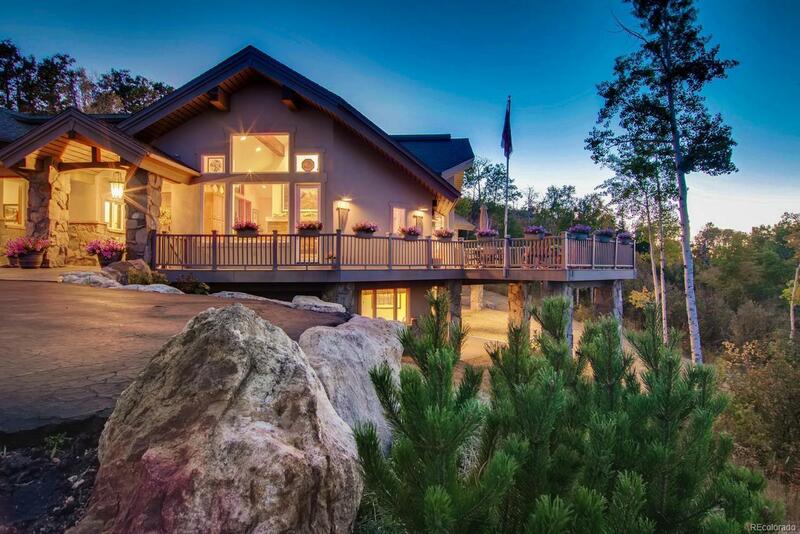 Premier mountain home on 37 private acres of aspen, pine, and meadows, capturing unobstructed views across the Steamboat Ski slopes and surrounding mountains. Just 10 miles from Steamboat Springs and immaculately cared for by the original owners, this beautifully furnished home offers a main level floorplan that is ideal for easy living (no stairs and wheelchair accessible). The expansive windows capture natural light and impressive view corridors. The homeâs lower level offers private guest space including a kitchenette, second fireplace, living room, 3 bedrooms, exercise room, and walk out patio. Generously oversized decks will be the perfect place to host guests and extend the seasons, outdoors. Additional features include post &beam ceiling accents, wood floors, an open gourmet kitchen, great room with vaulted ceilings, stone fireplaces, and 2019 technology. Roomy garage and bonus work shop. Sites of roaming wildlife & extraordinary scenery, from sunrise to sunset.